From the moment that the 2016-2017 NBA season started, I knew that we were destined to see one thing occur. The Golden State Warriors vs The Cleveland Cavaliers. 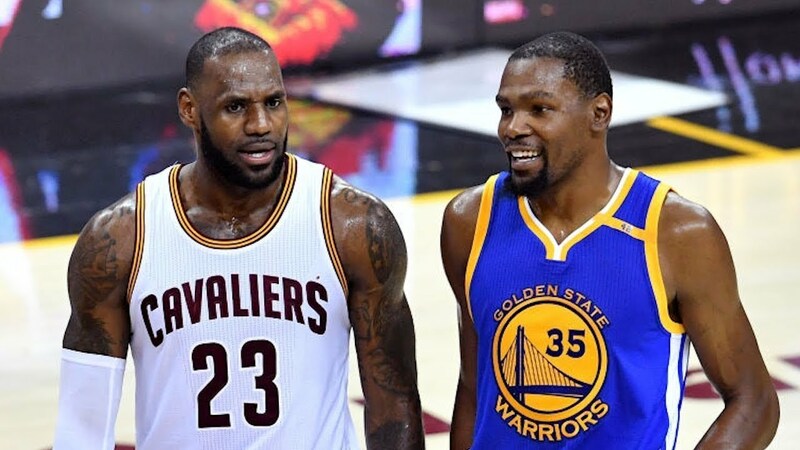 After the Warriors blew a 3-1 lead to the Cavs in the 2016 Finals, they would sign Kevin Durant in free agency, which would give them a huge boost to say the least. As the season went on, the Warriors would finish with the best record for the 3rd straight year going 67-15, setting themselves up for home court advantage for the playoffs. As the Warriors and their nemesis, the Cleveland Cavaliers made easy work of their respective conferences, they set up a third straight meeting in the Finals. With the series tied at 1-1, the third Finals meeting would be the one to decide their rivalry. Would the Cavs go back to back? Or would the Warriors reclaim the crown. 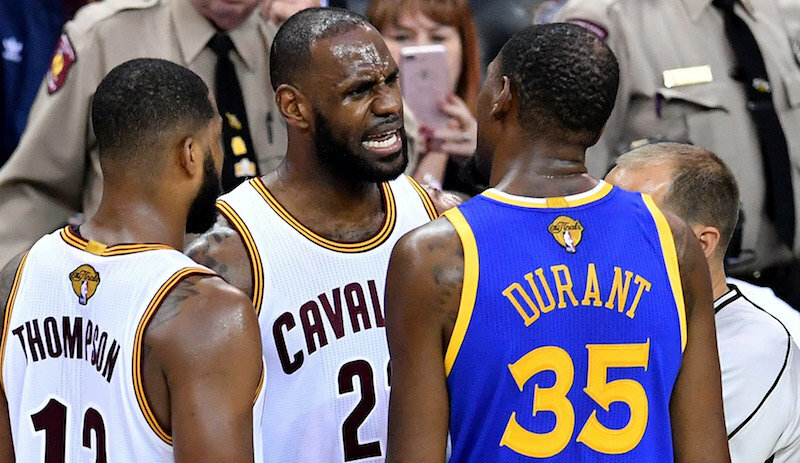 Let's revisit the 2017 NBA Finals. 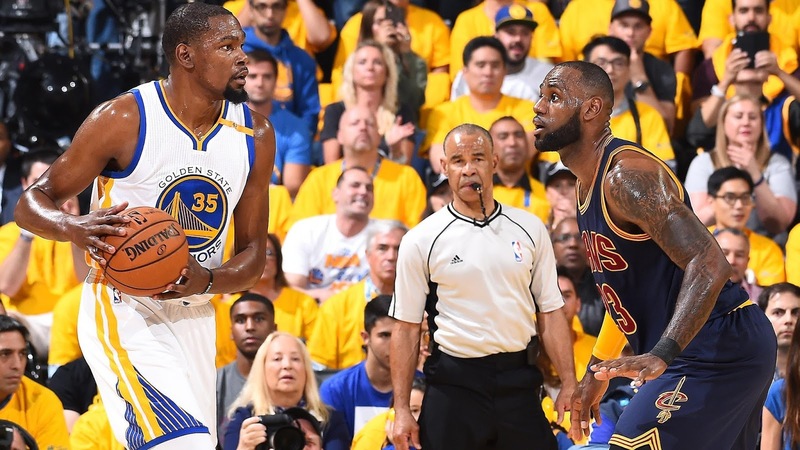 -The first quarter of game 1 was actually a lot of fun to watch. 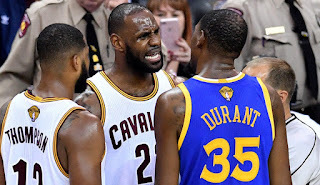 It was a back and forth battle that saw LeBron going aggressively at the rim, dunking on Javale McGee, but also saw KD make LeBron take a slip and fall on his way to a dunk. 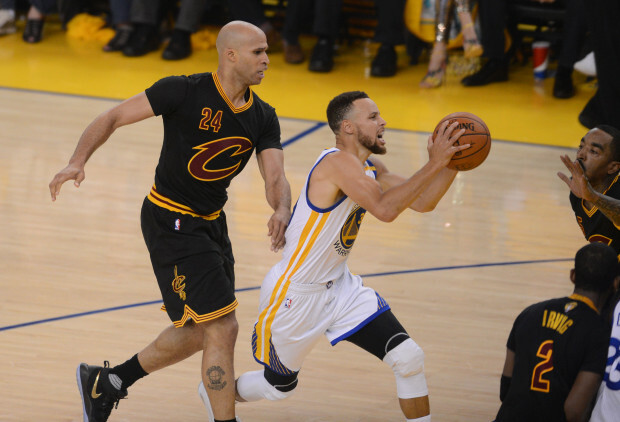 Early on in the game, it seemed quite apparent that the Cavs had a defensive plan to slow down Steph Curry. Steph was clearly the focal point of their attack and the thought process was if you slow down Steph, the Cavs have a better chance to win. This was a sound strategy and helped keep the Cavs in the game early on, but that first quarter was special, as the Warriors took a 35-30 lead. Golden State would turn it up some in the 2nd quarter and end up with a bit of a cushion going into the 2nd quarter with a 60-52 halftime lead. However, one thing that we've known the Warriors for is their third quarter runs, and this would be no different. The Warriors came out firing in the 3rd quarter and blew open their lead to end the quarter at 93-72. With a 20 plus point lead going into the 4th, the Warriors just needed to maintain that lead and they would do that rather easily as the Cavs looked tired in the 4th after having to keep up with the Warriors fast paced offense and smothering defense to close out the game. 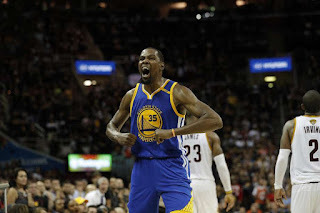 The Warriors would walk away with the victory to make the series 1-0 on the heels of a great Kevin Durant performance where he finished with 38 points, 9 rebounds, and 8 assists on 14 of 26 from the field alongside a really solid Steph Curry performance where he put up 28 points, 6 rebounds, 10 assists, and 3 steals on 11 of 22 shooting and 6 of 11 from three. The Cavs had solid performances from LeBron of course, who put up 28 points, 15 rebounds, and 8 assists, and Kevin Love finished with 15 points and 21 rebounds, but the Cavs finished with a subpar 35% shooting from the field performance, a big reason why they came up short. 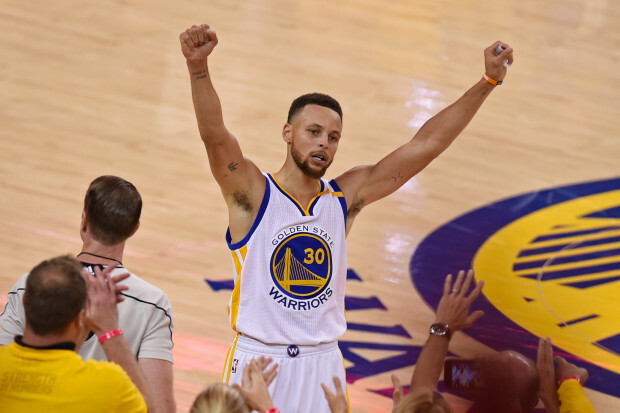 The Warriors take game 1 in relatively easy fashion in the 2nd half. -This game presented the Warriors with a great opportunity and also had the chance to tip the momentum in favor of the Cavs. 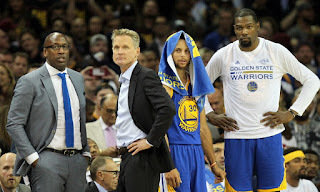 Steve Kerr, the Warriors head coach, had been out since Game 3 of the first round due to complications and an injury, but in game 2 he would make his return. Mike Brown seemed to have the team rolling quite easily, and their defense was top notch and the best all playoffs because of his work. So when Kerr came back in, it seemed like a great chance for the Cavs to sneak in and steal a game. Unfortunately for the Cavs, the Warriors had no plans of letting them get close enough to steal a victory. The game was close in the first half, which was essentially the story in literally the first three games anyways, with the Warriors opening up double digit leads, but struggling to keep them by halftime. The score at the half saw the Warriors barely holding on their lead 67-64, but their expected 3rd quarter rush and adjustments in the 2nd half saw them control the game, the tempo and the pace until the very end. With a 102-88 lead at the start of the 4th, the Cavs couldn't manage to get anything going to make a true comeback. The Warriors would keep the pressure on in the 4th quarter, and they would secure the victory 132-113. The Cavs would get solid production from LeBron who finished with a triple double (29 points, 11 rebounds, 14 assists) and Kevin Love, who put up 27 points on 52% shooting, but unfortunately for the Cavs, the Warriors got contributions from everywhere, as KD finished with 33 points and 13 rebounds on 59% shooting, and Steph finished with a triple double of his own (32 points, 10 rebounds, 11 assists), but Ian Clark put up 10 points, Klay finished with 22 points, and Livingston finished with 10. 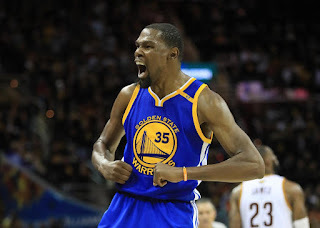 The Warriors got all around production and that is what clinched the game 2 victory for them. -The best game in the entire series was full of drama from the start. With a back and forth first quarter along with some questionable calls, the Cavs and Warriors were closely matched with each other through the first two quarters. For every shot the Cavs made, the Warriors had an answer. The Warriors would survive a 2nd half rush from the Cavs, where the Cavs took a lead going into the 4th and the Cavs didn't seem to let up until the last four minutes. 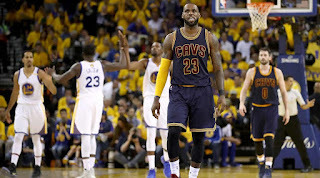 After a big three from J.R. Smith put the Cavs up 113-107, the Warriors began to go to work. Steph drove the lane and got a fairly easy layup to make it 113-109. KD would come back on the next possession and shoot a floater over Tristan Thompson to make the score 113-111. After a missed shot by the Cavs, with just under a minute left in the game, Kevin Durant walks up and shoots the shot of the series in LeBron's face to put the Warriors up 114-113. The Warriors went on a 7-0 run, but the Cavs still had time to make something happen. 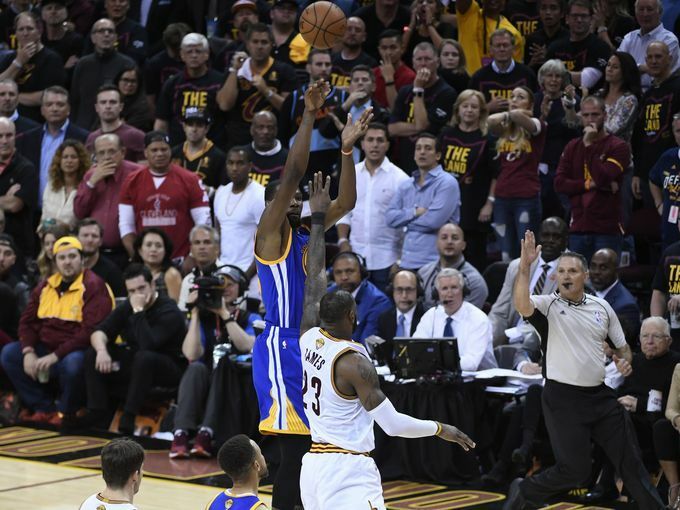 After a bad shot choice from Kyrie Irving, the Warriors recovered the ball, and the Cavs had to foul. 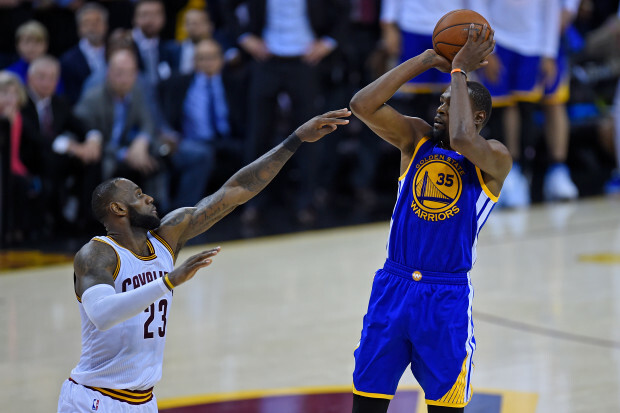 Following the two made free throws, the Warriors were up 116-113. 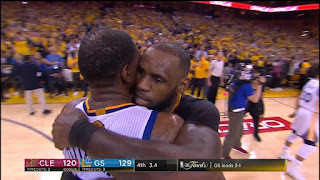 On their last chance to tie the game up, the Cavs got the ball to LeBron, but the ball was stolen by Andre Iguodala who had the smarts to make sure the ball went out of bounds off of Bron. 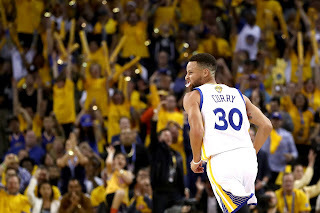 After two final free throws closed out the game, the Warriors stood victorious with a 3-0 lead thanks to an 11-0 run to close the game out, and on the backs of a 31 point performance from KD, as well as 26 points and 13 rebounds from Steph and 30 point performance from Klay, who had struggled most of the playoffs. The Cavs got 39 points, 11 rebounds, and 9 assists from LeBron, along with 38 points from Kyrie, but it just wasn't enough to make a difference in the end. The Warriors were one game away from clinching history. 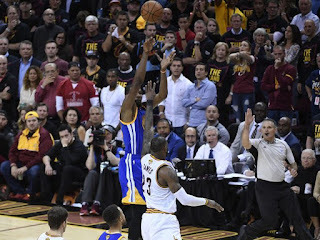 -Quite possibly one of the worst officiated games I've witnessed in the NBA Finals since.... well... since Game 6 of the 2016 NBA Finals. While the refs in the entire series had their moments, this game was the epitome of ridiculous, as fouls were being called left and right. A number of free throws helped the Cavs get out to an early lead and anytime there seemed to be a momentum shift, another foul would be called. 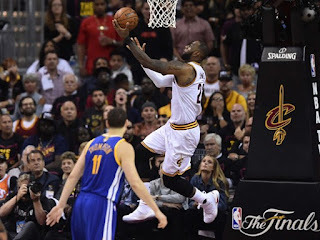 While the Cavs should be applauded for their amazing three point shooting during this game, as they hit a record number of three pointers to secure the win on the heels of a great one-two punch performance from LeBron and Kyrie. LeBron finished with a triple double (31 points, 10 rebounds, 11 assists) while Kyrie finished with 40 points on the night and 7 threes made and Kevin Love and J.R. Smith brought in 23 points and 15 points respectively. 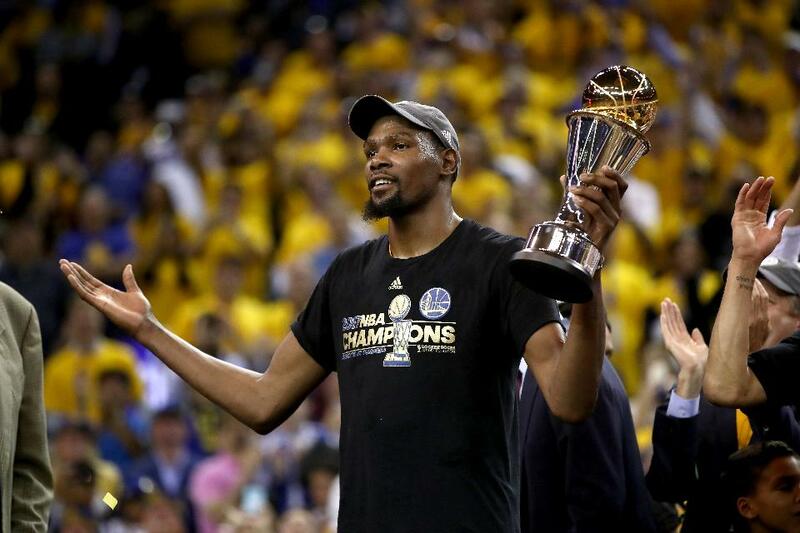 The two players for Golden State who seemed determined to play hard were Draymond and Durant, but it was not enough. KD finished with 35 points while Draymond put up 16 points and 14 rebounds, but the Cavs finally take one to make the series..... 3-1. The 2nd year in a row this 3-1 lead occurs. Can the Warriors close out in game 5 or will the past come back to haunt them? We all know how this movie ended. -The final game of the series is the 2nd best. The Warriors had a chance to close it out on their home floor, and from the start, it seemed as if they would struggle. Cleveland came out firing, using all the momentum they had from game 4 in this game as well. However, after taking an 8 point lead early in the 2nd quarter, the Warriors found their rhythm and rallied. At one point, the game was 41-33 with the Cavs out in front, but then you looked up and the Warriors were leading 60-45. The Warriors went on a 27-4 run and they never really looked back. The Cavs didn't go down without a fight however, as J.R. Smith would be huge in this game, shooting 82% from the field and 88% from three to finish with 25 points. LeBron had a 41 point and 13 rebound performance on 63% shooting, alongside 26 points from Kyrie, but it just wasn't enough to make a difference in the end. The Cavs stayed close throughout the 3rd quarter and chopped away at the Warriors lead, but by the 4th, the Warriors began to pull away thanks to Steph, Iguodala, and KD. 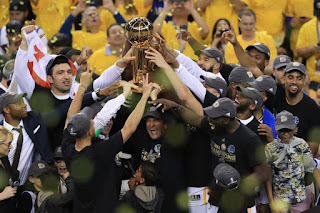 Those three were the most important pieces of the Warriors walking away with the crown, as Iguodala finished with 20 points on 64% shooting, Steph finished with 34 points, 10 assists, and 3 steals on 50% shooting, while KD finished with 39 points on 70% shooting from the field and 63% from three. The final exclamation point on this win came in the last minute when Steph got the ball and took it up court. The score was 126-115 and clearly the Warriors were going to win. 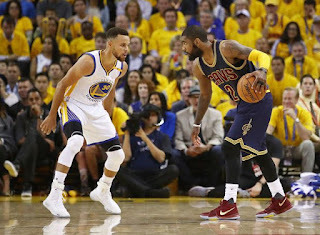 However, as Kyrie came to defend him, Steph put some moves on Kyrie trying to break free, but Kyrie played solid defense until Steph fired up a tough shot in his face, reminiscent to the shot Kyrie made to clinch the win for the Cavs in game 7 of the 2016 Finals. The tough shot Steph took went in and the Oracle Arena exploded. It was the official cap to redemption for the Warriors and Steph Curry specifically. 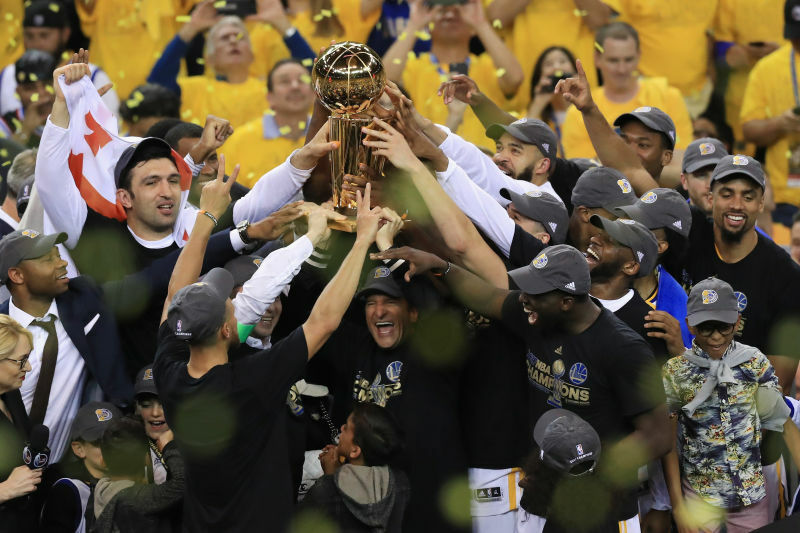 When the game was over, the Golden State Warriors were your 2017 NBA Champions and back on top. 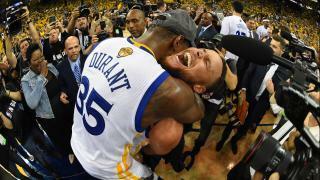 While the Finals didn't go to an epic 7 game series, it was everything it should have been. 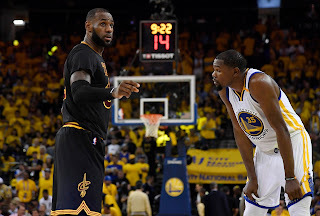 Overall, we saw a great duel between the two best players on both teams as Steph and KD were excellent just as Bron and Kyrie were for the majority of the series. For those who don't know basketball well, this series wasn't fun to watch. You wanted a 7 game series. You wanted the Cavs in 6. It was always going to be the Warriors in 5, but the road getting there turned out to be a lot more fun than expected. We saw Kyrie own the court, LeBron assert his dominance, J.R. Smith make the craziest shots, and we got drama along with narrative. We saw KD finally win the big one, Steph gain his redemption, Klay find his shot (and lose it again) but improve even more as a defensive player, and we saw Iguodala showcase how important he is for the team when he's needed. 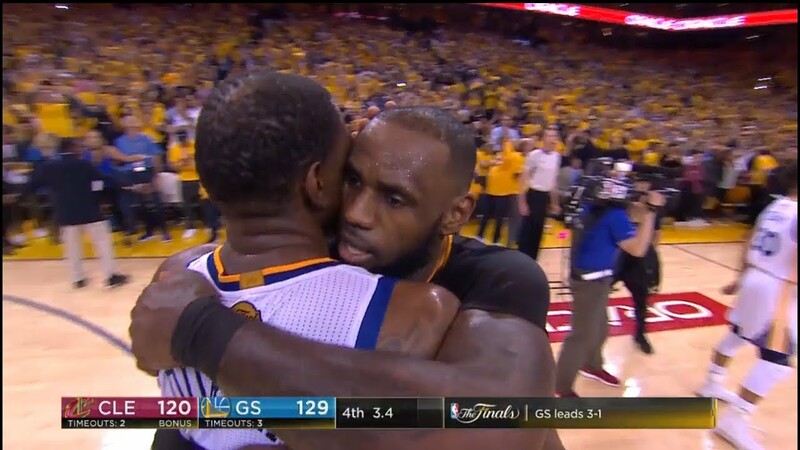 Everything about the 2017 NBA Finals was what basketball is all about. It was drama, narrative, hard plays, a battle of basketball IQs, and a story of redemption that was a full year in the making. Congratulations to the Warriors, and let's toast to their success being the catalyst for all the off-season moves and excitement surrounding the NBA heading into next year.